“If the last few years has shown anything it’s that the Internet of Things (IoT) is a clear stepping stone along the path toward what many consider to be the next industrial revolution – call it Industry 4.0, digital transformation, or what you will. New use cases appear daily, each revealing how the simple act of instrumenting any given business process can open up exciting new opportunities. “But the great myth of IoT, that it alone can miraculously enable factories and cities to run themselves is just that – a myth. Without a view into the business as a whole, IoT is nothing but the instrumentation and reporting of select functions. Real digital transformation requires not just IoT but IoT in context, which is to say alongside big data and analytics, all fueled by AI. “This idea of the digital twin has not yet found traction beyond smaller, targeted IoT use cases. This is of course in no small part due to a continuing emphasis on the here and now, not the future. Within our recent survey of over 3,200 global IT practitioners, we found that only 45% of annual IT budgets goes toward projects that might actually ‘change’ the business. The lion’s share of available funds flows into the maintenance of existing systems, to keeping everything running as is. 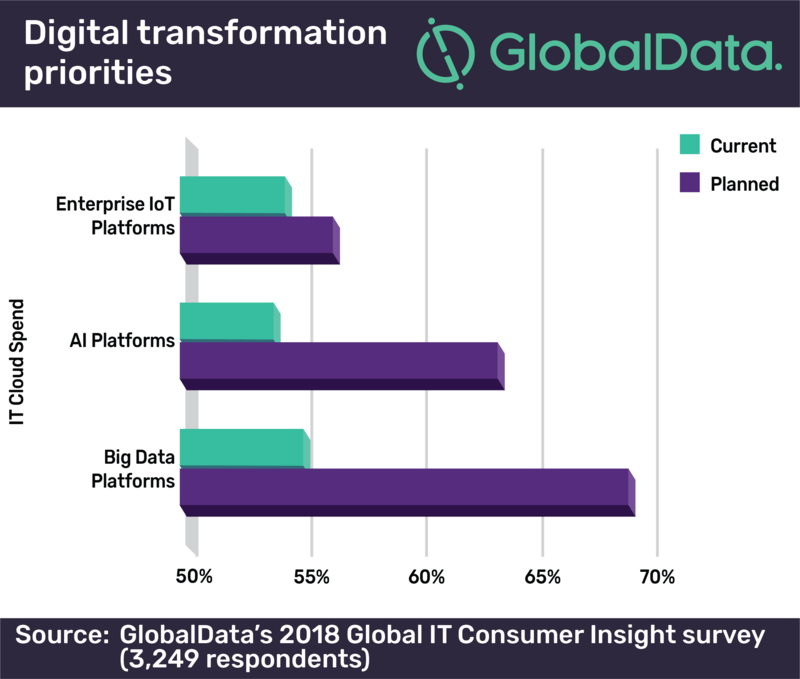 “Yet, within this same survey, GlobalData discovered that companies are spending heavily on laying the foundations of a company-scale digital twin — namely big data and AI. Compared with a diminutive spending increase between 2017 and this year of only two percent for IoT platforms, these two areas saw a combined increase of more than an 11 percent increase on average. Big data platforms on their own saw a massive 19 percent increase in spending over the past year with 69% of IT budget holders setting money aside for data at scale across the enterprise.